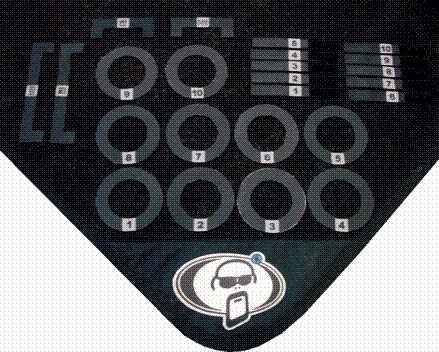 Drum Mat Markers, Other Drum/Percussion Accessory from Protection Racket. 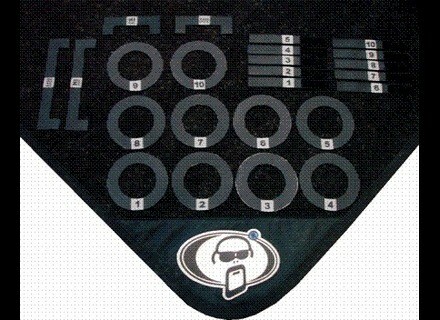 Protection Racket launches easy to move Drum Mat Markers. Setting up your drum kit can be a drag... and setting it up the exact same way every time can also be challenging. These new drum mat markers have a Velcro backing and are numbered for easy memory marking, ensuring the same set-up every time. Each pack includes thirty stand feet markers numbered 1-10 with 3 sets of each, ten corresponding stand markers numbered 1-10 plus one each of the bass drum and h-hat markers. For further details, see www.protectionracket.com/indexsite.htm. Brady Drums 30th Anniversary Snare Drum To celebrate 30 years of drum innovations, Australia's Brady Drums has introduced their limited edition 30th Anniversary Snare Drum.